Richard McKinley was inducted into the Pastel Society of America's Hall of Fame iin 2010. Worldwide, just one pastelist is chosen each year for the coveted PSA Hall of Fame. He joins Edgar Degas and other famous pastelists with this honor. Sensitivity, serendipity, and solutions are among the teaching themes of American master artist Richard McKinley. He is one of the most sought after artists and teachers of our time. The 2010 Hall of Fame Inductee into the prestigious Pastel Society of America, Richard has risen to the top of his field. He is President of the International Association of Pastel Sociieties, having assumed the Presidency in June 2017. Among many honors he has earned the rank of Master Pastelist from the Pastel Society of America, serves on their Board of Directors, and judges international art exhibitions. For many years, Richard published a weekly blog, Pastel Pointers, on artistnetwork.com, his column in his capacity an Contributing Editor of The Pastel Journal Magazine. 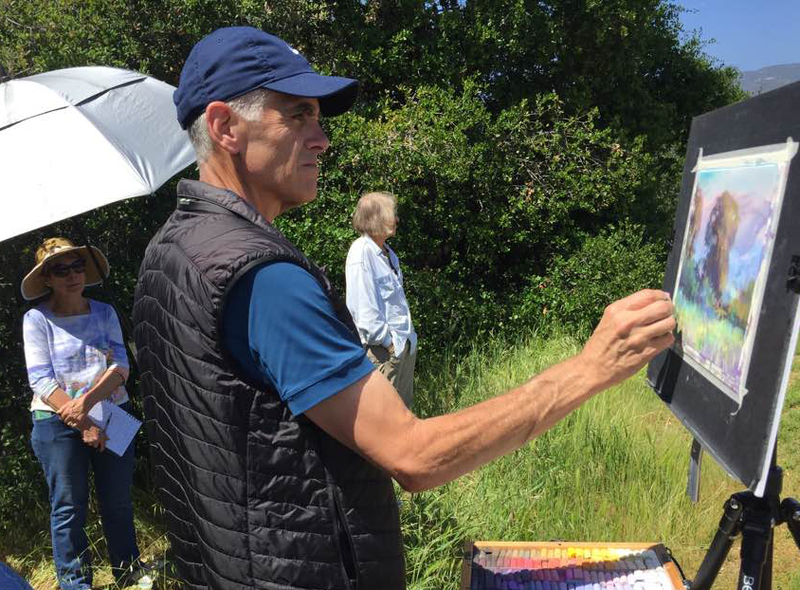 In May 2015, his second book was released: THE LANDSCAPE PAINTINGS OF RICHARD McKINLEY, "Views from a Master Artist: 100 breathtaking paintings in pastel and oil and the stories behind them." Several of the paintings featured in his new book are available at Gallery 31 Fine Art, along with the book. Richard's knowledge, experience and advice applies to pastel and oil painting as kindred media, so artists who work in oil can gleam a lot from his books. McKinley teaches art workshops on several levels throughout the US and Europe in oil and pastel, and his renowned underpainting techniques for pastel painting and theory of simultaneous contrast are among his best known tomes. McKinley is the author of Pastel Pointers, Top Secrets for Beautiful Pastel Paintings, a book and video published by NorthLight in 2010 as well as several teaching videos in oil and pastel. He has been a professional artist for four decades, amazing for one so young. His art workshops are in great demand. His art is treasured by collectors worldwide, and Gallery 31 Fine Art is honored to be the sole representative of Richard's art in New England. Richard is well known as a landscape artist who enjoys painting on location. He teaches intensive, advanced workshops in oil and pastel through Gallery 31 Fine Art. 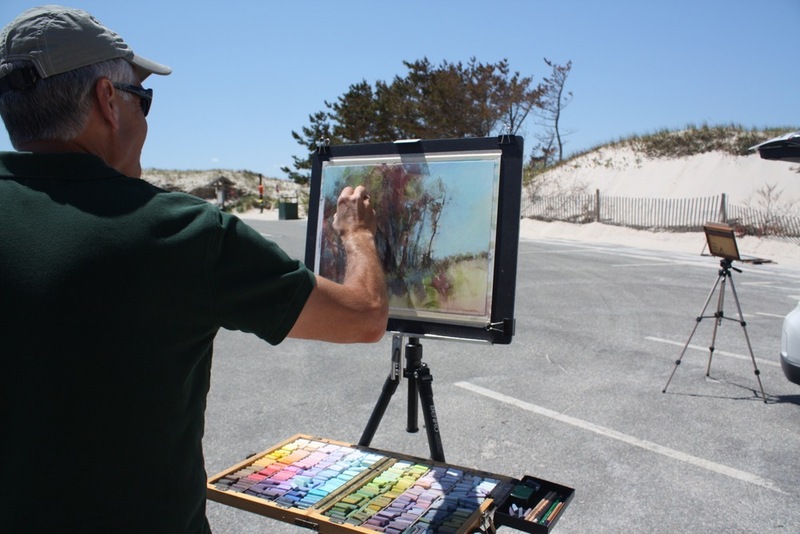 Richard McKinley paints for a workshop group through Gallery 31 Fine Art on Cape Cod.